I'd like to keep track of any FIU players or more likely, FIU commits who get drafted this year. San Francisco Giants select FIU commit Heliot Ramos out of Leadership Christian Academy in Puerto Rico in the first round, 19th overall. In the second round, the Kansas City Royals select MJ Melendez, catcher for Westminster Christian and son of FIU baseball coach Mervyl Melendez. Fun fact: Both MJ and Aramis Garcia (in 2014) were drafted #52 overall. If we could get 2/4 HS recruits in this group to stay that would be great. The 4 before today are gone. Go F I U! The Orioles like 1B from FIU. They drafted Tyler Townsend, too. Oraj Anu, last FIU recruit taken in the draft, 28th Round. Hopefully will get some good advice and come to FIU to improve his stock. Oraj was an interesting guy since he was homeschooled he did not play for a regular high school team. I couldn't find any stats for him but I know he played for TNXL Academy, I guess similar to the popular IMG Academy. If I'm not mistaken he was actually our highest ranked recruit in the fall last year so obviously he's highly regarded. It would make absolute sense for him to improve his stock by coming to FIU and get drafted much higher in 2020. We actually had 13 recruits drafted by MLB teams in this year's draft. We also had 6 players drafted as well, most in C-USA. With six selections in the 2017 MLB Draft, FIU had the most players taken of any Conference USA team. In addition, FIU had 13 players from its No. 1-ranked 2017 signing class drafted in the 2017 MLB Draft. The six Panthers drafted tied for the second most FIU players drafted in a single season in the program's 45-year history. 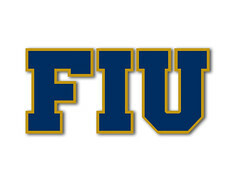 FIU had six players drafted in 1993. The FIU baseball program record for drafted players is seven, which happened for the then-Golden Panthers' 1989 team. "The players have worked extremely hard to play professional baseball," FIU head coach Mervyl Melendez said. "And the relationships we have built with the professional scouting community are very strong. That's a good combination for our players to have the chance to play professional baseball." FIU, which had two more drafted players than Southern Miss and Charlotte to lead C-USA, had its first player taken in the 15th round when the Baltimore Orioles picked catcher JC Escarra. In the 18th round, catcher Zack Soria was drafted by the Atlanta Braves and left-hander Dominic LoBrutto went to the Boston Red Sox. Shortstop Irving Lopez was taken by the St. Louis Cardinals in the 19th round. A couple of relief pitchers made up the other two FIU draftees. Right-hander Franklin Van Gurp, who was a catcher one year ago, was picked by the San Francisco Giants in the 25th round. The Colorado Rockies, the Giants' NL West rival, took senior right-hander Michael Agis in the 36th round. FIU, which had the No. 1-ranked 2017 signing class according to Perfect Game, had 13 signees drafted. "It's kind of bittersweet that you recruited talented players but at the same token you are going to lose some of them to the draft," Melendez said. "We're hoping that we get five or six to come to FIU to better their stock and their position in the draft. In three years they will be in much better shape." Outfielder Heliot Ramos was a first round choice of the Giants. Catcher MJ Melendez, FIU coach Mervyl's son, went to the Kansas City Royals in the second round on Day 1 of the draft. Outfielder Johnathan Rodriguez was drafted by the Cleveland Indians in the third round and right-hander Wilberto Rivera was picked by the St. Louis Cardinals in the eighth round. Shortstop Justin Connell went to the Washington Nationals in the 11th round. Left-hander Jerryell Rivera Gonzalez (Los Angeles Angels) and outfielder Gabriel Rodriguez (Minnesota Twins) both also were drafted in the 11th round. Shortstop Abdiel Layer was taken by the Milwaukee Brewers in the 13th round. A few rounds later a couple of signed FIU pitchers were drafted. Right-hander Christian Santana also went to the Brewers in the 15th round. Left-hander Logan Allen was picked by the Baltimore Orioles in the 16th round. In the 28th round, the Red Sox took outfielder Oraj Anu and one round later the Houston Astros drafted outfielder Andres Santana. The final FIU signee drafted was catcher Jose Garcia, whom the Red Sox took in the 38th round. Brandon Dorsey (3B)- 9.5 Rating - Third baseman with great power. We believe he will solidify the lineup and be a big RBI contributor. Joshua Crouch (OF) - 9.5 Rating - Big-time power that we expect to hit in the middle of the lineup. He is also versatile defensively. He plays the game with a very confident demeanor. Andrew Fernandez (1B) - 8.5 Rating - First baseman/catcher with a great pedigree. Knows the game of baseball, very versatile. He could see time all over the diamond. Jan Figueroa (RHP) - 9.5 Rating - I think he is a steal for us. Been steady over the last year and a half. He has not reached his ceiling yet. He can increase his velocity. His best baseball is ahead of him. Elijah Gill (LHP) - 9.5 Rating - Knows how to pitch. In recruiting sometimes you have to get lucky and we did with him. He's now throwing 88-90 mph. I've seen him pitch since he was 14. He's a top of the rotation type of guy. Johnathan Nieves (C) - 9.5 Rating - Love his bat. His bat will be one that right off the bat would bat anywhere from third to sixth in our lineup. Has power and hits the ball well to all fields. Good defensive catcher but the bat sets him apart. If you can get 1/2 of the draftees after the 10th round, (especially the starting pitchers) then this class if going to be phenomenal. Even if none come, which wont happen, just the recruits above are excellent. This is still only the case for low (beyond the 20th round) picks. These players have a greater than 98% chance of being redrafted (I really recommend reading part one) and possibly moving up to get some guaranteed bonus money. Now it may be time for a more individual example. Let’s take someone completely random. How about Craig Kimbrel? Kimbrel was drafted in 2007 by the Atlanta Braves out of Wallace State Community College in the 33rd round. Had he accepted, he likely would have spent all of 2008 at or below the short season level earning that below minimum wage amount. As a 33rd round pick, he may have impressed the Braves as he did in 2009, but he was a year younger and a year less experienced at that point. After declining to sign, Kimbrel spent one more year at Wallace State, where he had a 2.89 ERA and 123 strike outs in 81 innings. The Braves were still interested, but now other teams were as well and he moved up to the third round in 2008 when the Braves took him with the 96th overall pick. This season, the 96th pick is slotted for $592.7K, a big difference from the paltry amount he would have made had he accepted his round 33 selection. Possibly because of the extra year of experience, Kimbrel blew through the low minors, reaching high A in his first season and AAA in his second. Obviously, Kimbrel is a rare talent, but in the end, his story is the ultimate goal for all who decline to sign. Wow, so 13 of 19 current FIU signees were drafted! Hope I'm wrong but based on past history, most likely only the three recruits drafted in the 28th round and below (Oraj Anu, Andres Santana, Jose Garcia) will forgo signing to play pro ball. Coach will need to fill out the class with several currently other unsigned high school or JUCO players as the remaining class would be way too small to cover for all the seniors and drafted juniors that will be leaving the team. You say that the remaining recruiting class would be excellent/phenomenal but the reality is the class would be no stronger than many of Turtle's previous classes over the years. Not saying there is anything wrong with that, and it still should be one of the best classes in CUSA and maybe top 40 nationally but would still be a major disappointment for what was the No. 1 class nationally. What makes things worse, if you consider the other programs rated near the top of the recruiting rankings with FIU (Vanderbilt for example), their top-ranked signees were generally drafted much lower than FIU's and in many cases not even drafted. It's almost as if MLB teams expected those players would be tougher to sign so selected them much later with the expectation they would go to school. We'll just have to wait and see. I'm hoping to be surprised. Didn't Perfect Game have us at 29 commitments? Thanks for the overview, FIUPantherFan! It's 13 out of potentially 29 high school recruits as per Perfect Game (22 officially in original FIU release). That leaves 16. Some of them will not play for FIU as well as it now becomes sort of a chess game with some signees going the JUCO route, or not being offered as much as they thought they would get, thus ending somewhere else. Also, I do think we might get anywhere from 3-5 of the 13 drafted players. I'm particularly interested in Florida High School Player of the Year, pitcher Logan Allen, who some thought could've gone as high as in the first 3-5 rounds. A very good student, Allen dropped all the way down to the 16th round which means maybe he makes $100k signing bonus. If he stays at FIU 3 years and keeps pitching that way, he might me a top 3 round pick,meaning anyhwere from $500k to $1-3 million signing bonus. That's an interesting situation to follow, since Allen ended up being a stellar high school pitcher, but is only 5'10 or 5'11, thus not "projectable" as a prototype MLB pitcher. Maybe him being such a good student also had something to do with why he was drafted in round 16 rather than in say, top 5-10 rounds. Also, read where several JUCO players were either committed or signed....and not included as part of this class.....perhaps to really come in immediately, or perhaps as insurance on how many high school players we lose to the pro's. Let the chess game begin. Finally, I feel pretty much exactly as FIUPantherFan does. The same way I felt before the draft. This recruiting class is not only "top heavy", since we have so many of them that are good to very good based on ratings alone. This (high school) class is going to be the best class in a long, long time at FIU, if not hands down the best, Let's hope it finally pans out for the real good of FIU Baseball.